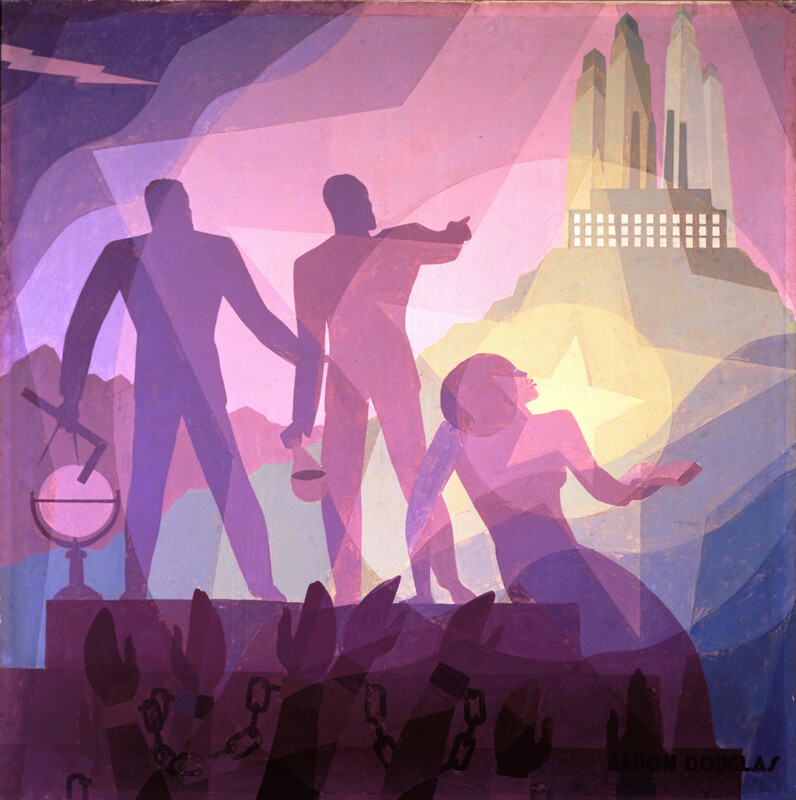 Aspiration, created for the Texas Centennial of 1936, conveys Aaron Douglas’s perception of a link between African/Egyptian and African American cultures. He depicts a historical progression from slavery to freedom, and a geographic progression from the agrarian slave or sharecropper labor of the South to the industrial labor of the North. The shackled arms of slaves, rising from wavelike curves, evoke the transatlantic passage of slave ships. The five-pointed stars symbolize Texas—the Lone Star State—but also recall the North Star that guided escaped slaves to freedom before the Civil War.